Like all Grand Slam tournaments, the U.S. Open men’s draw is made up of 128 of the world’s best competitors, with the winner needing to make it through seven grueling matches to hoist the trophy at the end of it all. Still, despite the best efforts of opposing pro players, these tournaments almost always seem to come down to the same guys, commonly known as the Big Four: Rafael Nadal, Roger Federer, Novak Djokovic, and Andy Murray. Their collective run of dominance—particularly by Federer and Nadal in the 2000s, has been unprecedented in the ultracompetitive modern world of sports, and has lasted just over a decade. Since the start of 2004, these four have won 39 of the last 43 Slams, 24 of which came down to Finals between two of the rivals (including 14 of the last 16). All that said, Nadal won’t be around for this one due to injury. 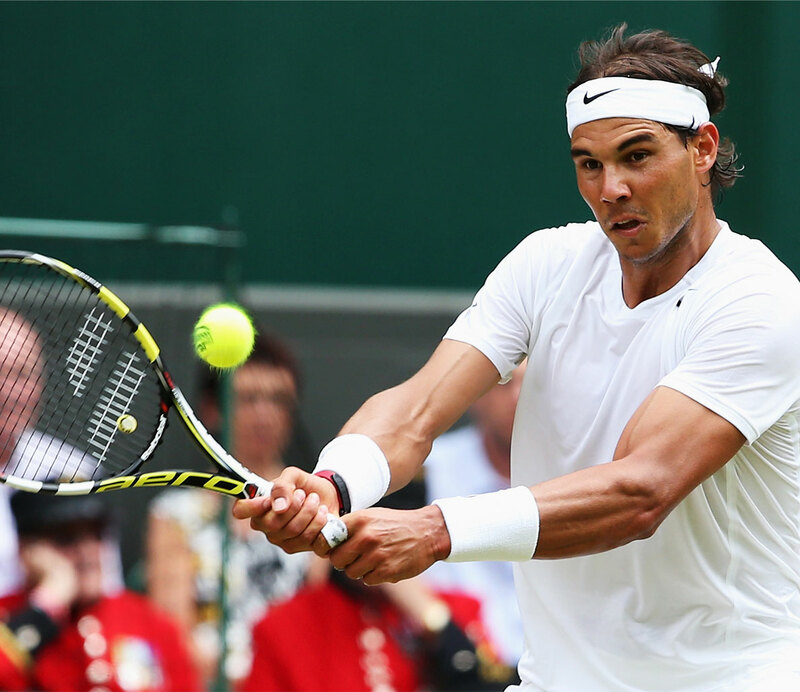 So, with Nadal out of the bracket, can Djokovic feed off his triumph at Wimbledon last month? 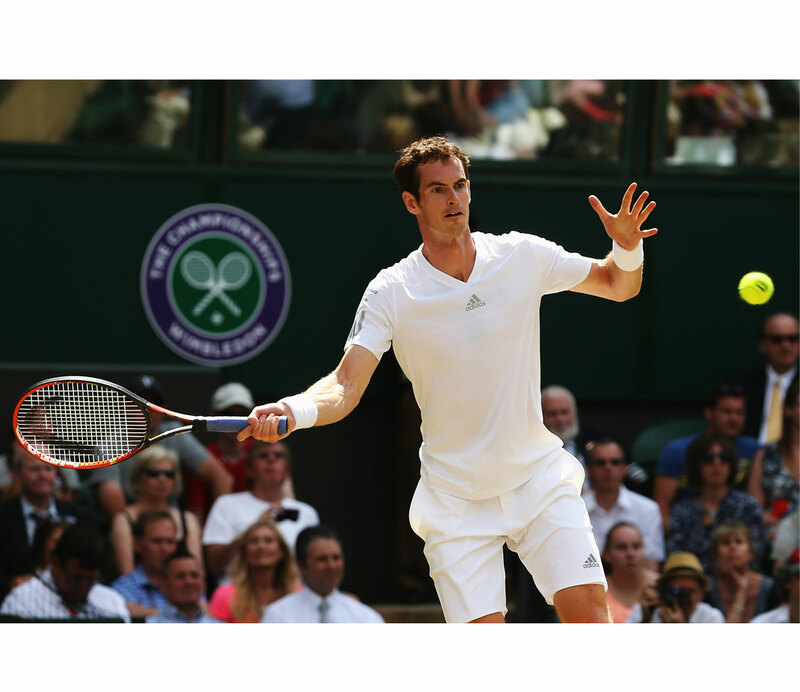 Can Murray return to the form he was in for the 2012 and ’13 seasons? 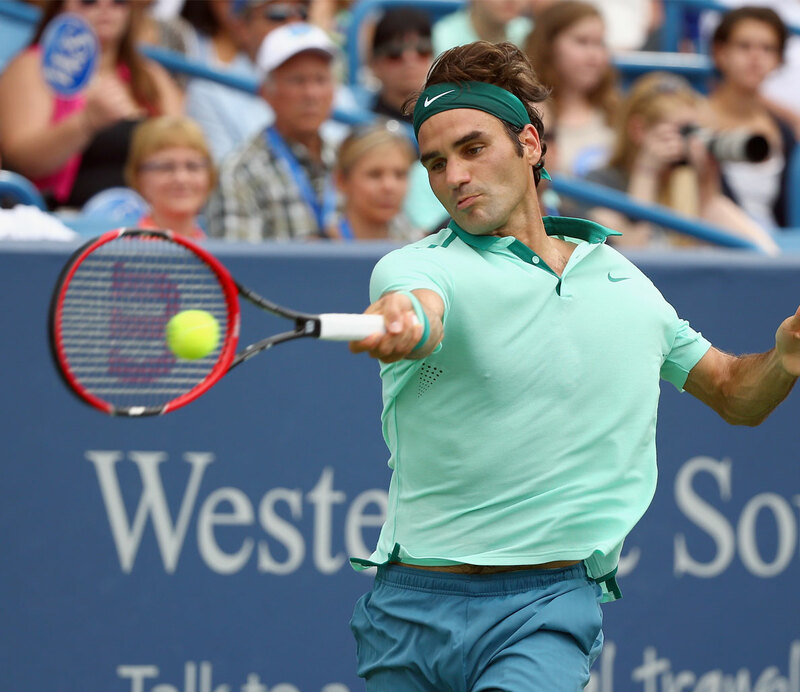 Or does Federer still have one more big win in the tank? Of course, there are plenty of other competitors vying for the title too (125 to be exact), but we’ll try to keep it simple in this preview. Sure, Nadal’s out with a right wrist injury (he’s lefty but needs both hands for his backhand returns), but his absence is so massive it’s worth going over what we’ll be missing without him. Rafa is the defending champ at the US Open, where he outlasted Djokovic in last year’s Final, breaking Novak’s resolve with a comeback win in the third set and then finishing him with an efficient 6-1 win in the fourth. Since then, he lost this year’s Australian Open Final, snagged his ninth French Open title (he has 14 Slam wins overall) and uncharacteristically bowed out in the fourth round of Wimbledon in July. Nadal’s greatness is undeniable, although his health and occasionally inconsistent play (like his shaky Wimbledon performance this year) have hindered him from exhibiting perennial dominance on non-clay surfaces. Regardless, Nadal is still in his prime at the age of 28 and has appeared in 12 of the last 18 Grand Slam Finals, so his injury leaves a huge window of opportunity for the remaining members of the Big Four, as well as for several other players like Stan Wawrinka (No. 4), who grabbed his first Slam title earlier this season over Rafa in Australia, or David Ferrer (No. 5), who reached his first Slam Final in last year’s French Open (a loss to Rafa, naturally). At the age of 33, Federer has collected a record 17 Grand Slam titles and is widely considered the greatest of all time by experts and online message board trolls alike. Still, the man hasn’t won a Slam since breaking Andy Murray and his country’s heart at the 2012 Wimbledon Final, but it’s not for lack of trying. Fed has remained at the top of the game and fought back from a back injury that badly hindered his 2013 season. He returned to his familiar post in the Wimbledon Final earlier this summer, where he pushed Djokovic (six years his junior) to a classic five-set match, rallying back from a 2-5 deficit in the fourth set only to lose in the fifth, 4-6. Tennis is a young man’s game, and Fed’s heyday of his early-to-mid-20s, when he won 11 Slams from 2004 thru ’07, are long over. Even so, that doesn’t count him out of any given tournament, and Federer’s improved health and methodical approach this season prove that he can still go the distance in these tournaments and give himself a solid chance to grab one more Slam. Plus, the top-ranked opponent on his side of the draw is Ferrer, and it’s tough to ignore his 10-23 career record against Nadal—the only man who’s had consistent success against Federer throughout his career. In 2009, Fed snagged the career Grand Slam by winning his only French Open while Rafa was sidelined with a knee injury. Perhaps he’ll take advantage again in trying to snag his 18th, and perhaps last, Grand Slam title at this year’s U.S. Open. 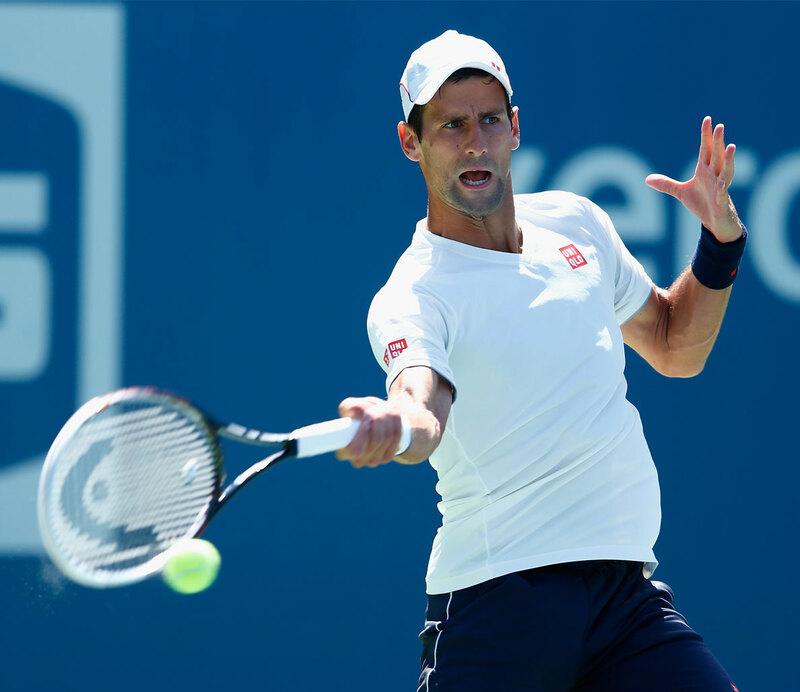 Spending the early part of his career in the shadow of the legendary Federer-Nadal rivalry, Djokovic has gotten over the hump and proven himself as the best player in the world in recent years—at least for considerable stretches of time. With Federer aging, he’s nudged his way next to Rafa as tennis’ 1-2 punch in the rankings. Novak has seven Grand Slam titles under his belt and has been aggressively contending for championships over the past four years, appearing in 12 of the past 16 Slam Finals (he’s also lost seven championship matches as well). There are virtually no flaws in Djokovic’s game, so it’s really about him being in the best state of mind with the best fitness level possible. In 2011, his surge of dominance, in which he won 41 straight matches to start the year and three of four Grand Slams that season (along with the Australian Open to start 2012), was widely credited to his decision to utilize a gluten-free diet (gluten sensitivity has since been debunked, but it clearly improved his diet and psychological handle on the game). Coming off a huge victory at Wimbledon last month, he should have a great mentality entering the U.S. Open, even with the possibility of having to face Murray in the quarters, Wawrinka in semis, and a rematch with Federer in the Final. Often thought of as the world’s fourth-best player, Murray has had his share of struggles lately—as evidenced by his slipping to No. 9 in the world rankings. Unfortunately, Murray just hasn’t established himself as a consistent force to be reckoned with since that turbulent legacy-changing year between July 2012 and July 2013. He wept in front of his country in a heart-wrenching post-match interview following his loss at the ’12 Wimbledon Final, but came back to win a gold medal at the Olympics later that month, then his first Grand Slam title at the US Open later that summer before returning to win the next year’s Wimbledon Final over Djokovic. Unfortunately, he just hasn’t been playing at that world-class level since, losing in straight sets to lesser-known competitors like Stan Wawrinka and Grigor Dimitrov in recent Slams. Perhaps the low point was failing to reach the Wimbledon semis for the first time since 2008, while attempting to defend his title. But all things considered, he’s still young at age 27, it hasn’t been too terrible of a backslide, and he should be able to at least reach a quarterfinal matchup with Djokovic. He’s 8-12 in his career against Novak, so it’s totally plausible to think he can pull off the upset, survive semis and defeat a 33-year-old Roger Federer in the Final—if he can play to his potential throughout the tournament.